Linda and her husband of 35 years, Dr. Jerry, live in Valparaiso, Indiana. They have three children, Sarah, Dr. Andrew and Dr. Zach and are expecting their first grandchild in December, 2017. 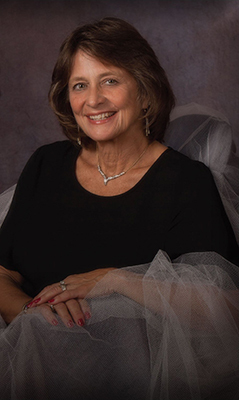 As a dedicated teacher of 44 years in the Portage Township School system, Linda provides her students with the ability to face things that occur in life and to find meaning and blessings in whatever life’s path holds for them. In 2012, during her battle with cancer, Linda was named the “Teacher of Excellence” and strived to show others that “life does go on” after diagnosis. Cancer did not hold Linda back in life, but pushed her to proceed and make every day important in her life and the lives of others. Linda is as active community volunteer affiliated with the Boys and Girls Club, YMCA, United Way, Valparaiso Park Department and the Don Quijote Scholarship committee. She has also been seen on the dance floor for a local charity event version of “Dancing with the Stars” and has participated in fashion shows, choirs, softball and volleyball teams. There is no end to her energy level or spirit of giving! Linda Rodenbarger is a 5 year breast cancer survivor proudly nominated by her friend, Jill Hunt.